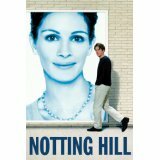 The past couple of weeks I have been on a self imposed Julia Roberts Movie Marathon. It all started when I was scanning the television and Pretty Woman was on. I admit that I am a sucker for romance. This is just one of my very favorite movies and watching it Julia has certainly grown in her acting abilities but she is so lovely in that movie. 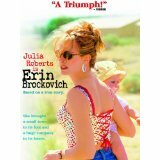 Then this one, Erin Brockovich I really like also. It has history and is based on a true event. She played this really well and it was enjoyable. My sister Linda suggested I should watch Mona Lisa smiles. It is based in the 1950’s and she is teaching an art history class at an all girls college. She is from California and is more liberal in her teaching and this college is more to educate the girls how to be good wives not to really have an education to get an outside job. Julia isn’t married and the college criticizes her in the subject matter and in her relationships and that she should not counsel any of her students to put any kind of meaningful thoughts into their minds. It made me thankful women are not in that era anymore. Enjoyable movie! I have Amazon Prime and this is the only free movie that is free with my prime membership. I was surprised because she has so many. The only down side is that I had to pay $2.99 for all of the other movies. Though much less expensive then the theater and much more portable on my Ipad. This movie drove me crazy because they didn’t want to be truthful with each other and kept holding back what they wanted to say. I thought “Just spit it out for gosh sakes”. I still liked it though, another good one. This movie has Hugh Grant in it and he really is pretty cute. I never wanted to watch it before because I guess I always had his prostitution incident in the back of my mind when he was dating Elizabeth Hurley 15 years ago. So it’s only a movie and I enjoyed watching it. Julia plays an actress who meets this travel bookstore owner and they become an on again off again couple. It ended happily of course. Richard Gere is just so handsome in this movie, I can hardly stand it!. So I don’t know if I am done yet with the JR movies, but I have scratched that itch. She has a new movie coming out this Friday where she plays a policewoman hunting down the murderer of her daughter. It looked good. I am now revisiting this set that I received for Christmas last year. I love history and this is just chock full of it. Teddy Roosevelt is so interesting and driven! FDR was such a sweet little boy and handsome young man who as a president got this country through a terrible war. Eleanor was an amazing woman who overcame such problems as really did all three. 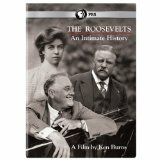 It is a well done documentary by Ken Burns. Thanks for Stopping!